Social media, the effect of the tabloids and the decline of policy coverage were all up for discussion at JournoFest’s ‘Political Journalism: Going beyond the Westminster bubble’ panel, writes Nicholas Tyrrell. Comprising Nick Cohen of The Guardian, Toby Young of The Spectator, Alex Wickham of Guido Fawkes and former Labour government adviser Lord Stewart Wood, the panel grappled with how digital advances and social media has affected coverage of politics in the UK. Guido Fawkes reports news from Westminster in a way that no news organisations would have been able to a short time ago, and Alex put this down to a combination of factors. Alex added that the niche political reporting that sites like Guido Fawkes do has proved to have a far larger audience than even he could have anticipated. The panel discussed the way election campaigns have changed over the past few years, including the wrangling which takes place over televised debates. Nick added: “The problem is that in America there is a format and the politicians can’t change it. Also part of the discussion was whether the health of political journalism is as strong now as it was in the heyday of printed newspapers. Nick was upbeat on the overall state of political coverage but expressed concern about the lack of room for journalists to specialise on policy. “What is massively in decline are the other political correspondents, for education, defence, labour,” he said. Though much of the discussions were focussed on issues affecting journalism in the here and now, Lord Wood touched on a long-standing issue for both journalists and politicians – their relationships with one another. He said: “I think the fundamental mistake politicians make is that journalists are political and are simply politicians who have gone on a different career path. To read about our ‘The anatomy of a news story: When terrorists strike’ panel, click here. 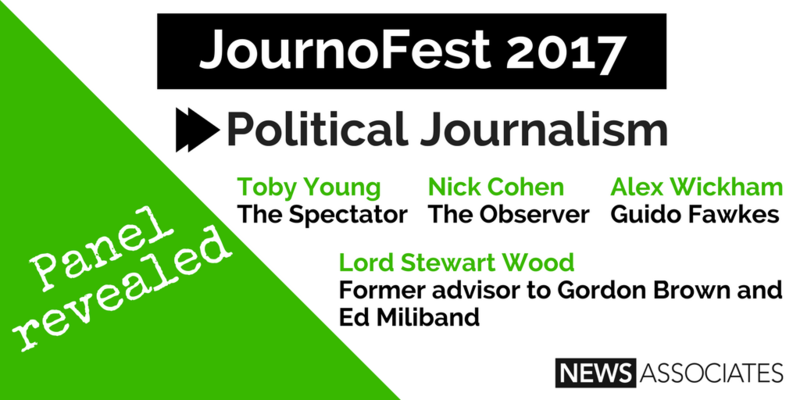 And to hear some top tips for getting into journalism from our JournoFest speakers, click here.